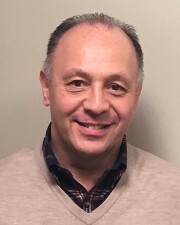 Dr. Lucchese grew up on Long Island and earned his Doctor of Dental Surgery (DDS) degree from New York University College of Dentistry in 1992. He completed a 2-year General Practice Residency program at Staten Island University and has been helping people look and feel better ever since. New technology has made transforming smiles easier than ever. Dr. Lucchese especially enjoys the advancements in cosmetic dentistry and in dental implants; call his office today to schedule a consultation to find out how these procedures could help you have a smile that makes you feel confident and beautiful. When he’s not working, Dr. Lucchese enjoys spending time with his two daughters. Both are involved in gymnastics and Dr. Lucchese enjoys going to their meets.